Dc Cable and Fuse Installation Kit. All Wiring Is Pre-Lugged For Plug and Play Installation. Eliminates Guess Work On Wire and Fuse Sizing. 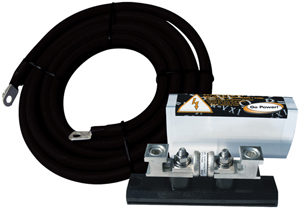 Includes 10-Ft Industrial-Grade Cabling and Correct Size Inverter Class T Slow Blow Fuse.